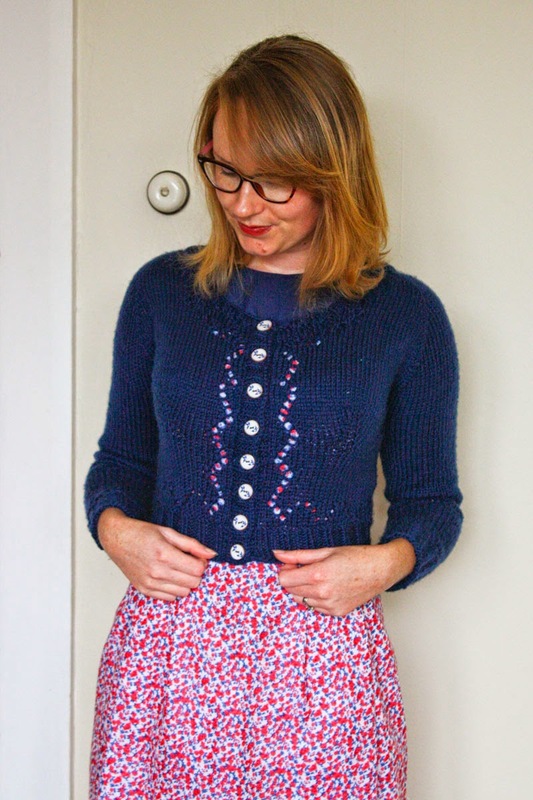 Kicking off MMM14 with a bang and wearing my Faux Liberty Macaron and Victorious Miette Cardigan (and panda slippers, not me made unfortunately!). Feeling the colour Blue today it seems. Wearing the Lightening Stripes Belladone. To celebrate the start of Me Made May '14, Zoe and I have rustled up a giveaway or two for you folks and today's giveaway is being hosted by Zoe. Sew Box has generously donated not one but TWO amazing prizes for you to choose from. Unfortunately this competition is only open to people participating in Me Made May this year, but there will be more competitions throughout the month that are open to everyone. So, you'd better go on over and enter then huh? How are your pledges coming along? 7 comments on "MMM14 Week One Round Up + A Giveaway!!" I love your outfits so far! 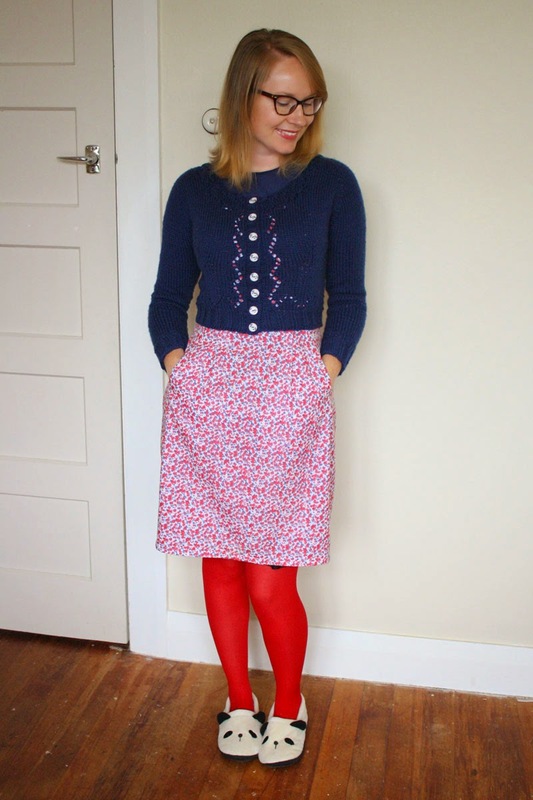 I'm going to be doing my 'weekly round-up' post of outfits on Saturdays, but I am so excited for my pledge (one me-make everyday), I've been pulling all of my me-makes out of my closet and trying to plan outfits with everything! 1 day down, 30 more to go! You are too cute! I'm so excited to see your outfits! Both outfits are just lovely! 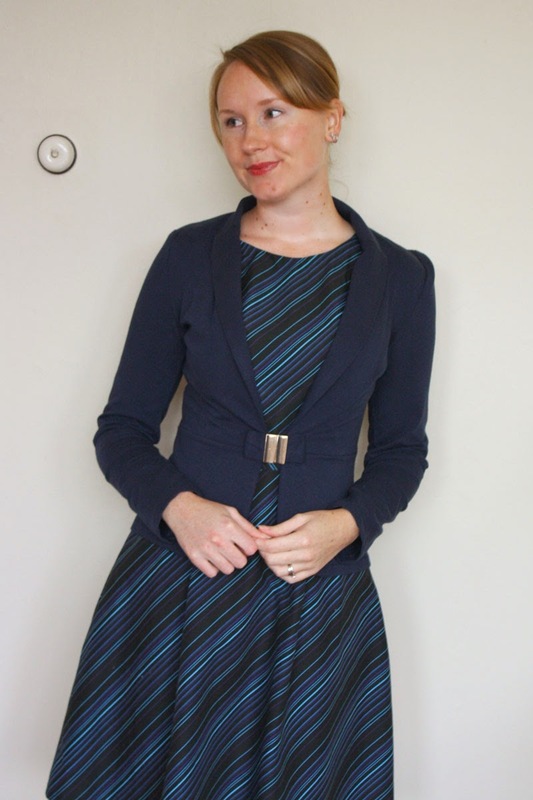 That blue jacket over your striped dress is especially flattering, but I think I like your cozy cardigan + floral print dress even more (the way the print shows through is too cute). Not doing MMM this year as I'm still too much of a newbie, but I hope I'll be ready for it next year. Everyone has been so inspiring. 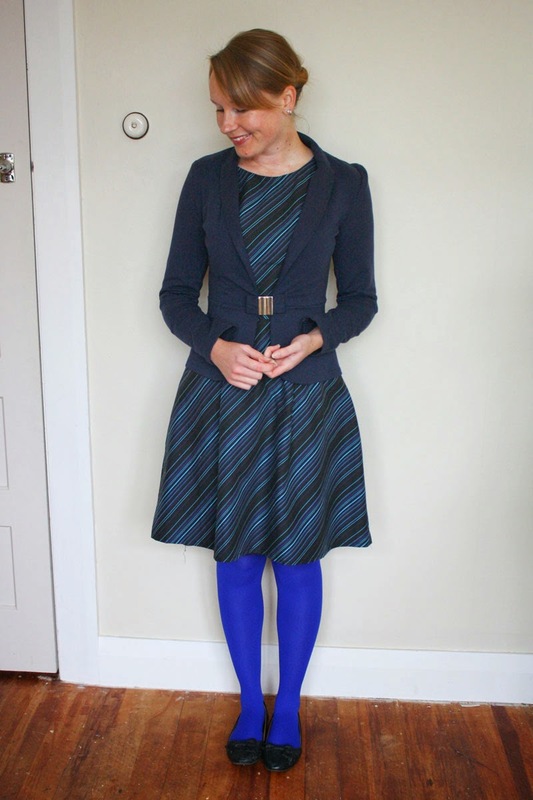 Love the cardi and jacket layered over dresses look. Ooh lovely! I'm waiting for Flickr to let me in the group so until then I'm trolling the blogs of those I know to check out the daily outfits.